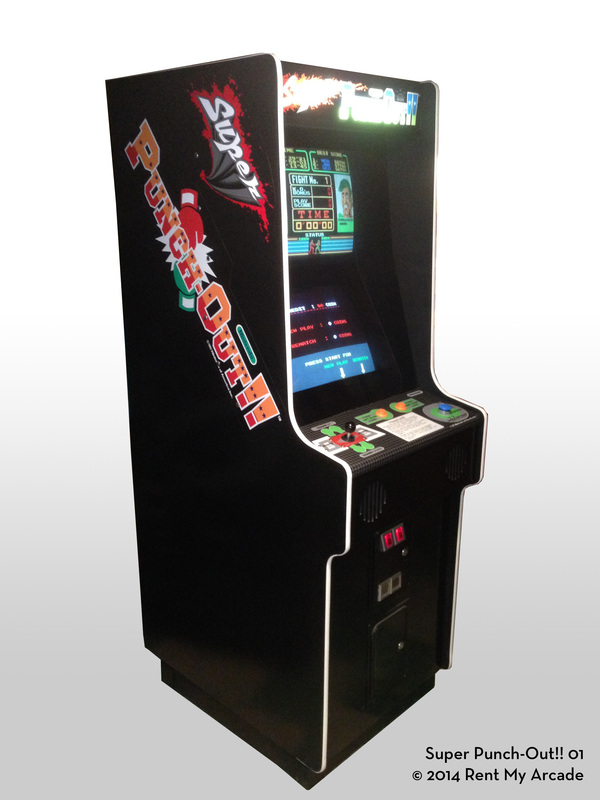 This cabinet comes with either Punch-Out! !, Super Punch-Out!! or Arm Wrestling installed, and includes the appropriate marquee, control panel for each game. Get ready for round two of rocking, socking excitement as five of the world’s toughest fighters come to the ring in the all new Super Punch-Out!! Take on up-and-coming champions like Bear Hugger, the brawny Canadian bruiser with the deadly arm crush. Or the mighty Dragon Chan and his whirlwind kicks. Meet your match against Russia’s massive Vodka Drunkenski, India’s cunning Great Tiger or America’s hammer punch king, Super Macho Man. Only a knockout before the clock runs out will keep you in the ring to challenge the next contender. Stick and move. Keep your guard up! Dodge that punch. Now duck that swing! The joystick and push buttons control your moves while the dual screens and live action commentary put you in the center of the action at the greatest bout of all time. Step into the ring with Nintendo’s newest champ – Super Punch-Out!! It’s another knockout game that’s sure to add some punch to your profits. H: 74.5", W: 25", D: 35.5"